The astute clinician and patient cannot assume the maxillo cranial complex is level when there exists hypertension in the masticatory muscles and other regions of the bodies postural system. Muscle can skew and torque the underlying bones, thus the maxilla/cranium relationship maybe impacted and will not always maintain balance, especially when underlying cervical neck, occipital and pelvis muscles are out of balance. If the mandible is out of balance then most likely all the other bones mentioned will also be out of balance and unstable causing it difficult to management the orthotic and occlusal schemes precisely. If other structural problems exist in the postural system (including the cervical spine, occipital region, pelvis and feet) and are identified by an adjunct therapist at some point in the treatment of those areas, any treatment changes to those areas can also significantly alter the occlusion (the bite) of the orthotic causing all sorts of issues. Even if the cervical area is improving, there can be changes in head tilt, mandible (lower jaw) and its relationship to the maxilla (upper jaw/cranium) and all the other associated regions of the body. The proprioceptive occlusal feelings (your bite) may shift and cause one to feel a return of muscular symptoms (strains as well as discomforts) as previously experienced. These changes must be anticipated by the TMD patient and should be expected as no surprise when the bite feels off. A return of some of the muscular symptoms should be expected as the body is seeking to unravel and align. Expect all the mal-alignments, torques and strains of the body to change as each practitioner is assisting you to align and balance the mal-aligned structures. If one recognizes that these underlying problems exist, more than the typical orthotic follow-up adjustment visits should be expected. (Check with your treating TMD dentist as to how best to stabilize your bite/occlusion and muscles). This why it is important to be patient with your treating dentist when seeking to stabilize your jaw relationship. In order to establish a proper stable occlusion whether for phase I: TMD and or Phase II: orthodontics or restorative occlusal dentistry, complete postural balance is required in order to reach maximum dental improvement. Multiple adjustment visits most likely will be required depending on the level of postural distortions that exist. 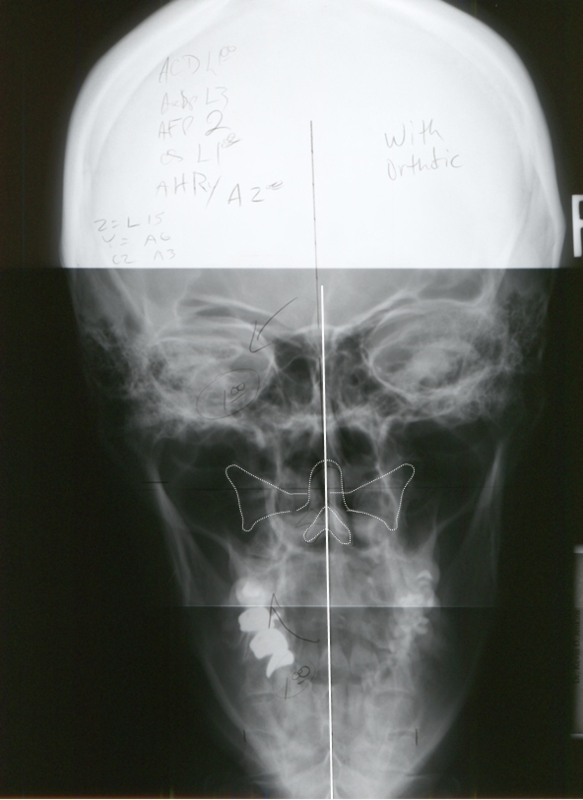 Many dentists and clinicians do not realize how powerful the effects of an incorrect mandibular position, or incorrect occlusion, or as simple as a high filling or crown can have devastating effects on the cranial atlas and vertebral alignment. Cranial distortions naturally ensue due to the imbalance of muscles that begin to strain the skull bones internally and externally as well. 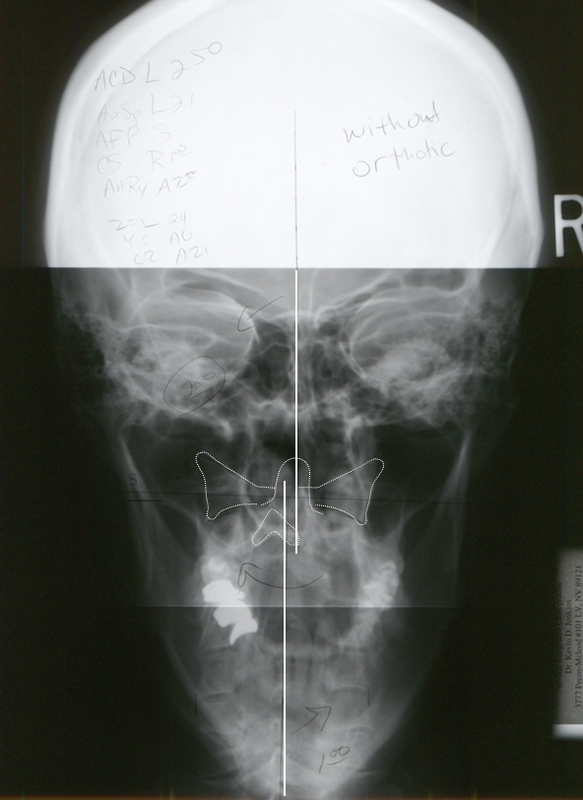 It is the muscles that are under abnormal tension from imbalanced occlusion both in a centric position as well as all functional mandibular positions that must not be ignored if one desires to get the cranial mandibular bones back in alignment. The key to postural alignment and cranial alignment is not the adjusting of the bones with manual manipulating therapy, but in fact the dentist needs to get the occlusion/bite back in order in a detailed manner so all the muscles of mastication can function in harmony without strain and abnormal forces. This is what a GNM occlusion can do.